Private jet and helicopter; the easiest route to Courchevel. Private jet charter Courchevel. 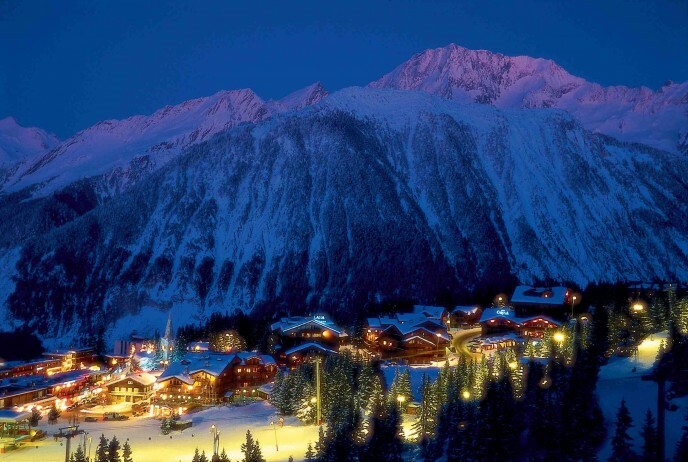 Courchevel is part of the Three Valleys 370 miles of ski terrain. With infinite terrain and the most sophisticated interconnected lift system in Europe, you could spend a lifetime exploring the limitless peaks and valleys, sampling all the delicious food at the fine French restaurants, and cruising through tiny villages without ever having to take off your skis. Visitors to Courchevel and its many sister resorts have enjoyed this unrivalled access since 1973, so you can rest assured this resort has a long-standing and time-tested reputation. Between the never-ending ski terrain and Courchevel’s series of hillside villages, you’ll find that a Trois Vallees ski vacation offers almost too many options. Saint-Bon and Le Praz are charming ancient Savoyard villages from the 16th century. Le Praz (Courchevel 1300) is lift-serviced for convenience. At 1550 and 1650, you’ll find two lovely, sunny, family-oriented resorts with direct access to all the slopes of the Trois Vallees. Courchevel 1850 serves up haute, or high alpine cuisine, and a lively après scene that can last well into the night—if you’re looking to tie one onto an incredible day of Courchevel skiing. Families will be extremely pleased with Trois Vallees’ family-friendly offerings in “Villages des Enfants,” a protected ski area where everything is geared for children’s safety and fun! Since Courchevel was one of the hosts of the 1992 Winter Games it’s benefited from accelerated construction projects for new lifts, snow-making, grooming facilities, hotels and restaurants. The lift system includes the world’s largest cable car and connects to the Trois Vallees areas. The closest airport when arranging a private jet charter to Courchevel is Chambery, approximately 1 hour 20 minutes away by road. A helicopter transfer from Chambery to the Courchevel altiport is a mere 20-25 minutes. A 6 seat Cessna Citation CJ2 jet from London to Chambery is approximately 1 hour 20 minutes. A larger 8 seat Cessna Citation XLS will complete the journey in 1 hour 15 minutes. Arranging a private jet charter or helicopter transfer with Freedom Air to arrive in style to Courchevel is simple. The Freedom Air team can be reached on +44 (0) 1275 548001 to book your next trip.